Our Lady of the Holy Souls Catholic School is dedicated to providing an education that is built on the Gospel message, to build a foundation of faith, hope, love, and respect to support all areas of a student's life. Students are encouraged to strive for academic excellence and self-discipline and to use their gifts of time, talent, and treasure in service of Christ. Our Lady of the Holy Souls Catholic School is accredited by the Arkansas Nonpublic School Accrediting Association. With this accreditation and validation, Holy Souls School sets itself apart as an institution dedicated to providing its students with the best possible learning environment. Welcome to Our Lady of the Holy Souls Catholic School. In choosing Holy Souls, you have demonstrated a commitment to the values and philosophy of a Catholic education. The Parent/Student Handbook reflects the policies of Holy Souls School for the 2018-2019 school year. Please read this document carefully and sign the agreement included with your on-line re-enrollment information. This agreement states that you intend to abide by the policies of Holy Souls School during the 2018-19 school year. The faculty and staff look forward to working with you to promote academic excellence and spiritual development in the context of the teachings of the Catholic Church. First Priority - Catholic families in Holy Souls parish, especially those who already have children attending the school. Second Priority - Catholic families from other Catholic parishes. Third Priority - Non-Catholic families. The following criteria will be taken into consideration in the event there are more In-Parish children than spaces available. A Baptismal Certificate and a Birth Certificate must be presented at the time of registration. The Arkansas Department of Health requires that a child receive by school age, 5 doses of DtaP, 4 doses of Oral or Inactivated Polio, 3 or 4 doses of HIB, 3 doses of Hepatitis B, 2 doses of Measles/Mumps/Rubella, and 1 dose of Varicella vaccine. A vaccination record must be presented at time of admission. If a vaccination record is not presented, the school will use the Arkansas Immunization Information System, named WebIZ, to obtain vaccination record. Holy Souls follows all requirements from the Arkansas Department of Health. Any change in requirements is immediately enforced. In compliance with diocesan regulations: No child shall be admitted into kindergarten unless he/she has attained the age of five years on or before September 1st of such school year. No child shall be admitted to the four-year old program unless he/she has attained the age of four years on or before September 1st of such school year. Due to the professional qualifications of all teachers at Holy Souls School, parental request for a specific teacher will not be granted. If the parent feels the need to discuss special learning differences of his or her child prior to the class placement, the need must be put in writing and an appointment made with the principal to discuss an educational plan for the upcoming year. The letter must be completed before the end of the school year. When a family is moving or withdrawing from school for any reason, the parents must submit a letter to the principal stating the reason for leaving and the planned date of departure. The same procedure should be used if the family is not returning for the next school year. The student's classroom place is not released until the school has been officially notified in writing of the student's withdrawal. Non-Custodial Parents are not to use the school as a meeting place to visit with their child/children. In the case of divorce, it is the responsibility of the parents to provide the office with a copy of the divorce decree that includes the court order stating custody and visitation rights. The principal will allow a non-custodial parent to take a child from school only as specified by the court order unless other arrangements have been authorized by the custodial parent. If the court order is not on file in the office, it will be assumed that both parents have equal rights. Upon request, a copy of the child's report card will be provided to the non-custodial parent. Registration for the 2019-2020 school year will be held in January, 2019. A registration fee of $150.00 per family and $25.00 per child (maximum $225.00) is paid at this time. The registration fee is non-refundable. Students of families who fail to meet financial obligations may be required to leave the school. Transcripts will not be forwarded to another school until all payments are made. Tuition may be paid annually or monthly through FACTS tuition management. Visit the school website (www.holysoulsschool.org) to sign up for a FACTS account. All new families enrolling in Holy Souls School will pay a one-time Facility and Resource Fee of $1,000 per family. There is no difference in tuition for attending PreK if the family is Catholic or non-Catholic. The four-year old tuition of $516.80 per month includes one snack per day. If you already have a child enrolled in school, your tuition will be $516.80 plus the tuition for your other child/children. Families who are not only registered members of Holy Souls Church but who also have a record of regularly attending mass and supporting Holy Souls Church by the use of church envelopes. Also included in in-parish are those who are members of other Catholic churches not currently associated with a Catholic school. Those included here must obtain a written confirmation from their pastor that they are active members who financially support their church. In-Parish Families (K-8) families that have shown active membership through the use of envelopes. Out of Parish - Catholic families who are not registered members of Holy Souls Church, as well as members of Holy Souls Church for whom there is no record of regular mass attendance and support of Holy Souls Church by the use of Church envelopes. Out of Parish families (PK-8) are required a onetime contribution of $750.00 to Holy Souls Church Building Fund is required. Non-Catholics - Families who are not members of the Catholic faith. NON-CATHOLIC (PK-8) are required a onetime contribution of $1100.00 to Holy Souls Church Building Fund is required. Prior to registration, a family must be practicing Catholics registered in Holy Souls Parish and have shown active membership through the use of envelopes. For out-of-parish students, there is a one-time contribution requirement of $750.00 per family to the Holy Souls Building Fund. For non-Catholic students, there is a one-time contribution of $1,100 per family to the Holy Souls Church Building Fund. All of these fees are made payable to Holy Souls Church. For those students who enroll for the seventh grade or eighth grade, there is a one- time facility fee of $500.00 per family. Hardback textbooks are issued on a rental basis and must be checked in at the end of the school term or before withdrawal. Any student who loses or damages a book shall replace the book at full cost. Rental books, consumable books, and classroom materials will be included in the overall tuition payment for the following school year. Book bills and fees for 2018-2019 total $200.00 per child. Book fees to be paid for the 2019-2020 school year have not yet been determined. The Parent-Teacher Organization dues are $20.00 per family. The following 3 fees are included as part of the overall tuition payment. Football, Basketball, Volleyball, Cheer, Cross Country, Archery and Track fees are $45.00 per sport. Rental of basketball, volleyball, track and field uniforms and football jerseys are included in the fees. Volleyball knee- pads, football pads, pants, and helmets must be individually purchased. Golf fees are paid directly to First Tee of Arkansas. Any sport played that is not paid for by the deadline for that sport will have a $20.00 late fee charged to their account. Summer Activity Fees and rates for 2019 have not been set. The Holy Souls Church Scholarship and Tuition Aid program is designed to enable active parishioners with Catholic children to send their children to Holy Souls School, even though the parents may be unable to pay full tuition rates at the time. FACTS will administer the Church's tuition assistance program. FACTS will provide a high degree of objectivity, professionalism, and confidentiality. When applying for financial aid, each family is required to complete a formal application and to send the application, any supporting documentation, and a $30.00 application fee directly to FACTS. Application for financial assistance may be found on the school’s website (www.holysoulsschool.org) under the Tuition and Fees link. The deadline for submitting applications is April 30, 2019. All applicants will receive written responses by June 15, 2019. Families receiving scholarship monies will be responsible for all school fees including books, pre-registration, athletics, PTO, school activity fees, cafeteria, and Extended Care. Extended Care and Cafeteria have established a systematic procedure for collecting receivables. The responsible party (defined as a student's family, guardian or custodial parent) must pay any past due debts and obligations incurred in prior academic terms before being permitted to register. Additionally, all known debts and obligations incurred during the current term must be paid prior to a student being allowed to complete pre- registration for any future terms. In addition, no grade reports, certificates of credit, diplomas or transcripts will be issued for any student with any unpaid or delinquent debt or obligation owed to Holy Souls. Registration fees are collected immediately when incurred during the registration process. For receivables other than registration fees, collection efforts should begin no later than thirty days after the obligation has been incurred. For all accounts receivable, a minimum of three (3) billings or letters of contact shall be sent by Holy Souls at thirty (30) day intervals once an account becomes delinquent (defined as thirty (30) days or more past due.) The second letter or billing for delinquent amounts will require a meeting with Business office personnel within ten (10) days to determine the appropriate course of action for repayment. If the parties involved do not agree to this meeting, then a "Termination of Attendance" letter requesting payment within a period not to exceed ten (10) days will be sent by certified mail. A "Termination of Attendance" form will be initiated immediately by the Business Office if payment is not made in response to the final request. This will result in the termination of the student's enrollment. Excluding recess, lunch, and religion, daily scheduled classes are in session for 5 hours and 30 minutes each day. Students in grades PreK-8 attend Holy Mass or prayer services at least once a week. The official school day begins at 8:00 a.m. and continues through 3:00 p.m. (2:45 for PreK & K). The school doors will open at 7:45 a.m. (7:30 a.m. for PreK & K). For the SAFETY OF YOUR CHILD we strongly urge you to plan your arrival to coincide with opening time. All students will leave the grounds promptly after dismissal at 3:00 p.m. and go directly home. Students awaiting parents are NOT to use the playground equipment, but are to wait in the areas designated by the school or use the after school Extended Care service. Students not picked up by 3:30 p.m. will be sent to Extended Care and the parent will be charged the daily rate of $10.00 per child. Pre-K and kindergarten students are to go to their classrooms upon arrival. Students in the first grade through fourth grades are to go to the gymnasium, entering through the cafeteria door. Students in the fifth through the eighth grades are to report to the cafeteria. The attending supervisors will dismiss all students at 7:45 to go to their classrooms. Please do not use handheld cell phones in our school carpool lines during drop-off and dismissal. Help keep our children safe. School will be dismissed at 1:30 p.m. for in-service and faculty meetings on the first Friday of each month. If a child is absent, please call the school office or send a note to the office via a brother or sister. When calling to report the absence, you may also request homework to be left in the office or sent home with a brother/sister or friend. The work may not be picked up in the office until after 2:45. Upon returning to school, the child is required to bring a note to the classroom teacher stating the reason for his/her absence. Pupils are required to be in attendance at all times when school is in session unless illness or an emergency prevents attendance. Generally, a pupil who has accumulated 25 days of absence during the school year may be required to repeat the grade or to attend summer school. Proof of attendance at summer school must be presented to the principal by August 1, 2019. Tardiness interferes with a child's progress in school and creates a disturbance for all members of the class. A child is considered tardy if he/she is not in the classroom when the 8:00 a.m. bell rings. In the case of chronic tardiness, a tardy student, with their parent, must sign in at the office to receive a pass before going to the classroom. Students with ten tardy slips in one nine week period will be given a form to be signed and returned stating that an unexcused absence has been incurred. When requesting a student to be dismissed from school for any planned reason, parents are to submit a WRITTEN REQUEST IN ADVANCE to the school office. For the SAFETY OF THE CHILD, the parent or other authorized person must come to the office to meet the child. Students will not be allowed to leave with anyone other than the parent unless permission from the parent has been provided. Students may not be called out of class until the parent is present in the school office. No student may leave the school premises during school hours or absence themselves from school-sponsored functions and events without express permission of the principal. A student who violates this rule will be subject to disciplinary action at the principal's discretion. Any class meeting or activity outside of school time is to have the approval of the principal. When bad weather necessitates the closing of school, Holy Souls School will abide by the decision made by the Catholic Diocese of Little Rock, which will be announced by the media and through the Holy Souls notification system. If school is in session and the weather conditions deteriorate, listen for news of early dismissal. Make sure you have made arrangements to get your child home safely. NO CHILD MAY LEAVE THE CLASSROOM WITHOUT BEING CHECKED OUT THROUGH THE SCHOOL OFFICE. Keyboarding, Introduction of Technology Core Standards. The computer lab activities and cross curricular projects are aligned with these standards. Homework is assigned to help students become self-reliant and self-directed. Assignments are designed to reinforce daily lessons, to supplement and enrich class work, and to prepare for certain lessons through various experiences. Since each student has different capabilities and interests, it would be difficult to denote the specific amount of time to be spent on an assignment. A good range would be 10 minutes for each grade. Full credit cannot be given to students who do not turn in assignments completed and on time. Make-up work is the responsibility of the student. Upon returning to school from an absence, a student should collaborate with his/her teachers and ask for assignments and tests to be made up. A grade of zero will be given for a test or assignment not completed within the date given by the teacher. Students have one day per day of absence to complete make-up assignments. Grades are determined by a number of factors - daily work, test scores, projects, class participation and class preparation. Grades for students with documented learning differences are used to indicate a student's progress in relation to his/her ability and not in relation to an expected grade norm. A modified grading scale may be used in the areas of difference of each student. If there are areas of academics, which are not affected by the particular learning differences, the academic standards under GRADING #4 will apply. Each child with a documented learning difference will receive a personal education plan stating the modifications for grading. The students' grades are used to report individual progress and should not be used as a comparison to others. Create success for your child by praising good work. If the child is low in a subject, use it as an opportunity to plan for improvement. All report cards require the signature of the parents before they are returned to the teacher. The cards need to be returned within one week of the distribution date. Parents should take note of the time when report cards and interims are distributed. Promotion will be based on the passing mark of sixty percent (60%) and parent/teacher consensus. Two subject failures constitute a grade failure unless the subjects are made up during summer classes or by working with a tutor approved by the principal. Students failing will be given a redemption plan devised by the teacher. Proof of passing marks based on the redemption plan will be presented to the principal before the child is promoted. Parent-Teacher conferences for grades Pre-K through 8th grade will be held throughout the school year. These may be requested by the teacher or by the parent. RenWeb is a web based program used as a means of communication with families regarding Holy Souls' news, student assignments and grades for 3 - 8. Our Lady of the Holy Souls School provides computer and internet access for students. The primary purpose of this technology is to support the educational objectives of Holy Souls School. Access to the school's network is a privilege not a right, and all access must be consistent with the main objective of the school. In accordance with federal law, Children's Internet Protection Act of 2000, Holy Souls Internet is filtered and monitored. Access to the internet will provide the opportunity to explore thousands of information resources. Due to the nature of the Internet, no technology protection measure or filtering device can stop all inappropriate material. Parents should be aware that every effort is made to supervise students and to filter inappropriate content, but that it is impossible to control all material. To use the Holy Souls Network of computers and internet access, the user must take full responsibility for his/her own actions. The student assumes full responsibility for any cost, liability, or damage arising from the way he/she chooses to use that access. In order to use our network, students are expected to abide by the following rules. Violation of these terms may result in disciplinary action. The administration or teacher has the right to access information stored in any student file, on any student screen, or student electronic mail. Intentionally altering the files, data or software on Holy Souls computers without the supervision of teacher/staff/administration will be viewed as vandalism. Students are only allowed access to computers under supervision of teacher/staff/administration. Each student will receive instruction in the proper use of on-line tools. Use of the Internet without the knowledge and permission of teacher/staff/administration is prohibited. Students may not download programs or files from the Internet, except under the supervision of teacher/staff/administration. Transmission or downloading of materials in violation of copyright laws is prohibited. Students are not to reveal any passwords or personal information. Visiting and posting to social networking sites (i.e. Facebook, Twitter) is strictly prohibited on school computers. Students must notify teacher immediately if inappropriate material is found on school computers. Personal Electronic Technology Devices (PTD) including, but not limited to, smart phones, smart watches, laptops or tablets are to be used only when permission has been granted by teacher/staff/administration. Personal commercially available networks (i.e., AT&T, Verizon, etc.) are not allowed to be activated on a student’s PTD on school campus. Never capture, transmit, or store images or recordings without express permission of the person being recorded, parent permission of a minor and/or approval of teacher/staff/administration. Such recording devices may never be accessed, turned on or operated in restrooms, dressing rooms, or other areas where there is a reasonable expectation of privacy. The content of any PTD device may be reviewed by Holy Souls teacher/staff/administration as part of any investigation of policy violation or other suspected inappropriate, immoral and/or illegal use. To protect the safety and well-being of young people, guests, staff and other community member's personal property and to avoid disruption; Holy Souls teachers/staff/administration, reserve the right to confiscate or collect any PTD. If an illegal act is discovered, local law enforcement officials may be contacted. Holy Souls School and organizations are not responsible for any harm to PTDs, including but not limited to the loss, theft, damage, or destruction. Posting slurs or rumors or other disparaging remarks about students or school staff member on a web site or social networking site. Sending e-mail or instant messages that are mean or threatening, or so numerous as to drive up the victim's cell phone bill. Using a camera phone to take and send embarrassing photographs/recordings of students or school staff members or posting these images on social networking sites or video sharing sites. Posting misleading or fake photographs of students or school staff members on websites. To the extent permitted by the First Amendment, instances of cyber-bullying off school grounds that disrupt the school environment or interferes with the learning process will be considered violations of the Acceptable Use Policy. Our Lady of the Holy Souls Catholic School (HSS) has established a Google Apps for Education account to support teaching and learning and to allow for easy sharing of documents, file storage, and connectivity within our school and classrooms. This service is available through an agreement between Google and Our Lady of the Holy Souls Catholic School. This software will allow students and teachers to create, collaborate, and share documents, spreadsheets, presentations, websites, calendars, and more, allowing for flexible access from any computer – both at home and school – with Internet access and a web browser. While Google Apps for Education provides for flexibility over traditional desktop software, it also allows students to work in a safe, protected environment in a private domain (holysouls.org). While all documents are stored online, no one outside our school domain can access them. Google Apps for Education enable us to take steps toward promoting 21st century skills. We feel this is another step in preparing your child for the future. The Google student account name will be last name, first letter of first name, graduating year @holysouls.org (palazzik17@holysouls.org) and the password will be given to students and parents. This account will be considered the student's official school account until such time as the student is no longer enrolled at Holy Souls School. This Google Apps for Education holysouls.org account will be for school purposes only. Google Apps for Education runs on an Internet domain purchased and owned by the school and is intended for educational use. Your student’s teachers will be using Google Apps for lessons, assignments, and communication. Emphasis will be made that this account is not to be used for any social or entertainment purposes, and should only be used for school assignments. Students will NOT have access to email outside the Holy Souls domain. Students will not be able to send or receive emails except from Holy Souls teachers and the administration. At this time, only the Google Drive and Calendar app will be enabled for student use. This is a supervised account for education use only. Google Apps for Education is also available at home, the library, or anywhere with Internet access. The administration, technology coordinator, and teachers will monitor student use of Google Apps when students are at school. Parents are responsible for monitoring their child’s use of Google Apps when accessing programs from home. Students are responsible for their own behavior at all times. Student safety is our highest priority. Privacy: School staff, administrators, and parents have access to student email, docs, etc., for monitoring purposes. Students have no expectation of privacy on the GAFE system. Misrepresentation of staff or student. Apps, sites, email, and groups, are not public forums. They are an extension of classroom spaces where student free speech rights may be limited. Students may not post personal contact information about themselves or other people. That includes last names, addresses, and phone numbers. Students are responsible for the use of their individual accounts and should take all reasonable precautions to prevent others from being able to use their account. Under no conditions should a user provide his/her password to another person. Access to Google Apps for Education is considered a privilege accorded at the discretion of HSS. HSS maintains the right to immediately withdraw the access and use of Apps when there is reason to believe that violations of law or HSS policies have occurred. In such cases, the alleged violation will be referred to the Principal for further investigation and account restoration, suspension, or termination. As a party of the Agreement with Google, HSS also reserves the right to immediately suspend any user account suspected of inappropriate use. Pending review, a user account may be terminated as part of such action. The school is required by CIPA to have technology measures and policies in place that protect students from harmful materials including those that are obscene and pornographic. This means that HSS student email is filtered. In addition, students can only email within the holysouls.org domain. COPPA applies to commercial companies and limits their ability to collect personal information from children under 13. By default, Google advertising is turned off for Apps for Education users. No personal student information is collected for commercial purposes. This permission form allows the school to act as an agent for parents in the collection of information within the school context. The school’s use of student information is solely for education purposes. The school will not publish confidential education records (grades, student ID #, etc...) for public viewing on the Internet. Holy Souls School reserves the right to modify or change any policy at any time. Conditions or circumstances not specifically covered by the policies outlined in this policy may arise. On such occasions, the school administration will make decisions or pursue courses of action, which, in its judgment, can best sustain the wellbeing of Our Lady of the Holy Souls Catholic School, including the health and safety of the faculty, staff, and student body. Uniforms are required for all students attending Holy Souls School. Students in grades 5-8 not following the dress policy will receive marks. Students in grades PK-4 not following the uniform policy will be given a uniform infraction notice for the parent to sign. Holy Souls uniforms are available at The Toggery, and through Holy Souls School Used Uniform sales. Regulation P.E. shirt, red gym shorts, and athletic shoes. P.E. uniforms must be purchased through Holy Souls School. Students may wear post earrings (girls only), watches (no smart watches), and rings (rings not too large or in excess). One earring per ear. A religious necklace may be worn. All shirts must be tucked in at the waist at all times. Hair shall be worn in an appropriate manner, never extreme. Hair color may not be extreme. Boys are expected to maintain a hairstyle with hair above the ears and above/off of the eyebrows. The hair in the back of the head should be above the collar. Girls' hairstyles must be off the face and out of the eyes. Hair feathers, ribbon braided in hair, etc. is not permitted. The final decision for appropriate hairstyle rest with the principal. Only clear nail polish may be worn. No make-up allowed with uniform or casual dress days. Clothes worn on casual dress days should be in good taste. No bare shoulders, tank tops, mini-skirts, no hard soled boots, or sandals should be worn. Shorts/skirts must be knee length. Parents should check designs and logos on shirts before leaving for school. There are many advertising logos that would not be appropriate for a Catholic School. Boots and cleated shoes, slip on canvas, clogs or open toed/back sandals, skating shoes are not allowed. Athletic shoes are recommended. Shoe laces must be a solid color. Non -athletic shoes must be a solid color. All shoes must tie, buckle or velcro. Velcro is recommended if a student is not able to tie their shoes. Athletic shoes must be worn for P.E. in grades 3 – 8. Short/long sleeve; white with peter pan collar with jumper. Red crest t-shirt or collared red knit shirt can be worn with shorts or skorts. Shorts must be worn underneath jumper. Jumpers must be no shorter than two inches above the knee. Red plaid box pleated, must be no shorter than 2” above the knee. Shorts must be worn underneath skirts. Gray, black, brown, red, or navy belts are required in grades 4-8 when wearing walking shorts and or slacks. Belts are optional for shorts and slacks in grades Pre- K through 3. Length of belt must be tucked into belt loop. Navy twill slacks worn with white uniform blouse or red collar shirt. 6th – 8th grade - Navy twill slacks worn with navy blue polo shirt with crest only. Red, white, black, gray or navy (solid). Socks must be visible. Short/long sleeve; collared-red knit shirt and crest t-shirt may be worn with shorts. Crest t-shirts only with shorts and collared-red knit shirt. May also wear oxford with shorts. The ultimate goal of Holy Souls' discipline system is to teach students to become effective modifiers of their own behavior. Self-discipline is learned; therefore, students are taught to internalize self-discipline behavior without diminishing self-esteem. In order to create independent self-discipline, teachers, parents, administration, and staff help students: express feelings in a controlled productive way, think through their actions and predict the consequences - assume responsibility for their action (good and bad), identify the causes of their misbehavior and change them to more appropriate behavior, understand that behavior is shaped and modified by its consequences, model desired behavior, learn problem-solving skills, and be consistent. After reading the handbook, please sign the Statement of Responsibility page located in your summer registration packet. Students will be mannerly, courteous, and respectful. The learning environment will be orderly and conducive to study. Students will respect school property and the property of others. Students will WALK and remain quiet when moving through the building. Gum chewing is not permitted on campus at any time. Automatic detention, in-school suspension, out of school suspension, or expulsion may be given for major offenses. Punishment is at the discretion of the administration. See Discipline Policy Grades 6-8 for consequences. Students in grades PreK-5 will be disciplined at the discretion of the administration. Students will be sent to the office for any Major Offense. Profanity (including inappropriate slang), verbal abuse, obscene gestures, language or conduct. See Diocesan Policy on pages 29 - 30. Any other offense deemed major by the administration. When school property is damaged, the person responsible for such damage will promptly report it and pay for the damage. Any time a student is guilty of vandalism, either during school or non-school hours, he/she will be subject to disciplinary action in addition to restitution. All items brought to school should be marked with the student's name (sweaters, jackets, raincoats, etc.) This includes BOTH of a pair. If a student loses articles at school, he/she should check the LOST AND FOUND BOX located underneath the stairwell by the 1C classroom. Electronic devices such as iPod, mp3 players, radios, tape recorders, CD players, video games, and message devices are not to be brought to school without special permission. If a student needs a cell phone for after school activities, the student must leave their cell phone in their locker during the day. The cell phone must be turned off. Any student found with a cell phone during the school day will receive an automatic detention and the cell phone will need to be picked up by a parent. Cell phones are not to be used on school grounds during the hours of 7:30 and 3:20, unless authorized by administration. Purses may be kept in a student's locker, but will not be carried to the classroom or on the playground. Holy Souls School is not responsible for lost or stolen items. A Personal Electronic Technology Device (PTD), refers to such devices, but not limited to; cell phones, smart watches, gaming devices. Other devices, including, but not limited to tablet PCs, mobile presenters, wireless tablets, digital audio and video recorders, Palms, Sidekicks, iPods, Kindles, iPads, MP3players, texting calculators, camera video phones, digital cameras or laptops are to be used only when permission has been granted by supervising adult. This includes devices that are using commercially available networks (i.e. AT&T, Verizon, etc). Such recording devices may never be accessed, turned on or operated in restrooms, sleeping areas, dressing rooms, or other areas where there is a reasonable expectation of privacy. The content of a PTD device may be reviewed by Holy Souls administration or staff as part of any investigation of policy violation or other suspected inappropriate, immoral and/or illegal use. To protect the safety and well-being of young people, guests, staff and other community member's personal property and to avoid disruption; Holy Souls staff or group leaders, reserve the right to confiscate or collect any PTD. If an illegal act is discovered, local law enforcement officials will be contacted. Students may bring reading devices (Kindle, Nook, etc) for the purpose of reading books during the school day. These devices may not be used for other purposes. Students may bring these items at their own risk, the school is not responsible for lost items. If a child needs medicine during school hours, the parents must provide the medication along with written instructions for administering. School employees are not allowed to give medication (aspirin, acetaminophen, ibuprofen, etc.) without written consent of the parent and the parent must provide the medication for the student. ALL MEDICATION IS KEPT IN THE SCHOOL OFFICE. NO MEDICATION IS ALLOWED IN CLASSROOMS, BACKPACKS, OR SCHOOL LOCKERS. The teacher or office staff will take care of minor accidents. In case of a serious accident, the school will contact the parents as soon as possible. If the parents cannot be contacted, the injured child will be taken to the hospital immediately. If a student has a fever or is sent home with a fever, the student must be fever free (without fever reducing medicine) for 24 hours before returning to school. To help students learn responsibility, we ask that forgotten books, homework, lunches, and other school items NOT be delivered to school. Students are NOT allowed to receive balloons, flowers, or gifts that are delivered to the school. If a delivery is made for a student, the office staff will not sign for the delivery. All students should enter the cafeteria quietly and orderly. Students are expected to conduct themselves properly during lunch, practice good table manners, and follow the rules listed below. Parents eating lunch with their children in the school cafeteria are asked to call the office. It is a school policy that all students will eat in the school cafeteria. They may eat the prepared hot lunch or a sack lunch from home. The cafeteria staff will not heat lunches brought from home. Students are not allowed to leave campus for lunch for any reason. Soft drinks, energy drinks or energy water enhancers are not to be brought as part of a school lunch. Soft drinks are not to be brought to school for birthday celebrations. Milk, chocolate milk and water will be offered at lunch. If a student has an allergy or intolerance to milk, juice will be offered. The parents will need to send a doctor's note to the office stating the student's allergy treatment. If a student has an allergy to peanuts, the parents will send a doctor's note to the office stating the student's allergy treatment plan. The plan will be filed in the school office and shared with teachers/supervisors. An EPI pen must be provided for each student with a peanut allergy. Students will go outside at recess periods during good weather. A written note from a parent will be required if a child cannot go outside due to health reasons. Students are not to enter the school buildings during recess periods without permission from the playground supervisor. Students will go directly to the playground. Students will not stand or play in the area immediately outside the cafeteria. No candy, gum, or food will be allowed on the playground. Students will stay on the playground during the entire recess time unless they have permission from the playground supervisor to enter the school building. Students do not have permission to go after a ball that has been kicked over the fence. Playground supervisors will retrieve all lost balls. Students will not climb or hang on the walls and fences separating the playground levels. No toys from home will be allowed on the playground. Students may bring athletic balls such as footballs and soccer balls. Self-discipline is the behavioral goal of Holy Souls Catholic School. Students who have less than four marks within a nine-week grading period will be recognized for their good conduct. A free dress day will be awarded for each student who receives LESS THAN FOUR MARKS in any nine-week period. Students earn ten (10) points per day for conduct. For each conduct mark given five (5) points will be deducted from the daily conduct grade. If a student earns three marks in one week (Monday - Friday), they will attend one hour of detention hall on the following Wednesday morning (6:45-7:45). If a student receives a 4th conduct/behavior mark in a one-week period, the student will serve one day of in-school suspension. A student receiving an automatic detention hall will lose 15 conduct points for the day of the infraction. A student receiving an automatic in-school suspension will lose half the conduct points for that week. Marks given for incomplete or missing homework will not have the five points deducted from their daily conduct grade. Points will be deducted from the student's academic grade following the classroom policy for incomplete/missing homework assignments. Each student will receive a conduct grade on their interim and report card. Please see Parochial League Rules regarding conduct and eligibility to play. After a student has served two hour long detentions and receives a third hour long detention in a nine-week period, a conference will be held with the student, parents, teachers, and administration. If the individual's behavior does not improve, the results listed under Major Offenses will be implemented. The following behaviors may result in an automatic detention, suspension or expulsion if warranted. Possession, use, distribution, or purchase of any drug, tobacco in any form, or alcoholic beverages in the school, on the school grounds, or any school function. See Diocesan Policy on pages 29 – 30. Bringing pocket knives, firearms, or any type of weapon on the school or church grounds. Receiving a 4 or more detentions in a nine week period. A record will be kept on the number of times a student is disciplined for a Major Offense. Depending on the severity of the major offense, a student may be suspended or expelled at any time at the discretion of the administration regardless of the tracking system. A student with four major offenses in one school year is subject to possible probation for the next school year. A student with five major offenses in one school year may be denied admittance for the next school year. If a student is suspended in school they will not be allowed to participate in any extracurricular activities the day of the incident/s. If a student is serving suspension out of school, they will not be allowed to participate in any extracurricular activities scheduled on the day/s of the incident as well as the day/s of suspension. Students lose half of the week’s conduct points for serving an in school suspension. Students may lose up to all of the week’s conduct points if they serve an out of school suspension. There are individual classroom rules which each teacher will post in the classroom. Every student will be expected to know and follow these rules. The Catholic Diocese of LR does not condone any form of harassment. All individuals are to be treated with dignity and respect. Harassment in any form is prohibited. The prohibition against acts of harassment applies to all individuals involved in the school. (Policy 2.26 Harassment: Diocese of Little Rock.) All teachers and school staff are instructed to stop harassment when they witness it and inform the school administration of all allegations or rumors of harassment. Report the incident to the Principal. The incident will be investigated and the parents will be notified. A report of the findings will be made available to all persons involved. Records of complaints will be kept on file and confidential. If any student brings to school or has in his/her possession any drug or alcohol during school hours or at any school function, regardless of time or place, he/she is liable for expulsion. He/she will be suspended immediately and parents will be notified. When a student is involved in the distribution of alcohol/drugs to other students, whether for financial gain or not, he/she will automatically be expelled from school. The distribution of drugs in the State of Arkansas is a felony. Secondly, the action is aiding and abetting another youth in an illegal action. Such conduct will not be tolerated by the Diocese of Little Rock and its school system. Since a Holy Souls student represents the school at all times, both on and off campus, it should be understood that any conduct which brings discredit to the student or to the reputation of Holy Souls School and its community may result in disciplinary action by the school. Any person feeling aggrieved concerning any matter connected with the school will contact the individual concerned before discussing it with others. The purpose of the athletic program at Holy Souls is to provide an opportunity for all interested students to learn good sportsmanship, teamwork, and to learn and improve in basic skills of the sport. The Athletic Department will strive to encourage the active participation and individual efforts of each student, regardless of skill level. As a result of participating in the sport, the student-athlete should develop a respect for authority (coaches, referees, parents) and a respect for others (teammates and opposing teams.) The Athletic Department hopes that each individual will develop self-confidence, increase in self-esteem, and have fun. If immediate attention is necessary, school administration takes action. If immediate attention is not required, the school representative sends to School Board. School Board responds in writing within one month. By signing the Statement of Responsibility, all coaches, parents, and students agree to follow and adhere to the Holy Souls Athletic Policy and the Parochial League Athletic Policy. Coaches must complete the Safe Environment training. Team prayer is encouraged before each practice and each game. Holy Souls teams have priority for gym scheduling during basketball season. If a child is absent from school, checks in after 8:30 due to illness, or leaves school early he/she may NOT play in the game or cheer in the pep rally scheduled for that day. A full day of school must be attended to be eligible to participate. If a student is suspended in school or out of school, they will not be allowed to participate in any extracurricular activities scheduled on that/those days. The following sports are offered for students in grades 5-8. Sign up for each sport will be at the beginning of the season. A deadline will be given for sign up. If students are not signed up by the deadline date, they will not be allowed to participate. Sports fees are due prior to the beginning of the sports season. Physicals and waivers must be in before the start of any sports season. The Athletic program strives to maintain a competitive balance between teams in all sports. A head coach will draft team beginning with their child. Those wanting to assist will do so for the team their child is on. Players are assigned by coaches by means of a supervised draft to assure equality. Teams will be kept the same for 5th & 6th grade. Teams will be re-divided in the 7th grade. Any new players signing up to play will be assigned to teams by coaches' draft with an equitable distribution of players maintained. In the event there is a significant increase or decrease in the number of players on one team, a redraft may be necessary. This will be determined by the principal and athletic director. Cheerleading - All girls are on one squad. Football - All 5th & 6th-grade students are on one team. All 7th & 8th-grade students are on one team. Golf - All 5th, 6th, 7th, and 8th-grade players are on teams by grade level. Pep Club - All 7th-grade girls are on one squad. Deadlines for signing up for teams will be set, announced and adhered to. The only exception will be new students that come to school after the deadline, in which case the student will be added to the roster, if possible. Our school will participate in the National Archery in the Schools Program (NASP), through the Arkansas Game and Fish Commission's (AGFC) Arkansas National Archery in the Schools Program (ANASP). 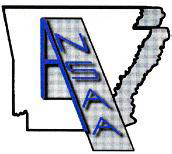 Participation in the program is subject to NASP Tournament Rules and other program requirements as stated within the NASP website and Arkansas Game and Fish Commission ANASP website guidelines. Students in 6th, 7th and 8th grades are eligible to participate in the extra-curricular Archery Team. ANASP teams must have at least 12 but no more than 24 archers per team. Each team must have at least four archers of each gender. Only Archery Team coaches, volunteers, members, and member parents will be allowed in the gym during team practices. Younger siblings may not be present in the gym during practice. Only school purchased bows and arrows may be used on the school campus. Students may not bring their own bows or arrows to school. Students may bring their own finger pads and/or arm guards. These items are available at local archery supply stores and/or online. Please ensure students have these type of items labeled with their name before bringing them to school. ANASP Equipment specifications outlined under Section 3, Competition, of the ANASP Handbook and in paragraph 4 of the 2014 NASP Rules and Regulations document. To have a successful archery program, parents must be willing to volunteer their time. The number of volunteers depends each year on the number of students that participate. All parent volunteers will be required to complete a safe environment training session. No basketball team should have more than ten players unless there are not enough players to form another team. Teams will stay together during the fifth and sixth grades. At the beginning of the seventh grade, the students will be reassigned by the seventh-grade coaches and the athletic director. The teams will stay together during the seventh and eighth grades. The fifth-grade teams will be assigned by the incoming fifth-grade coaches and the Athletic director after accessing the students' abilities. A student who has an unexcused absence to a basketball practice will miss playing in one game. If he/she misses two practices they will miss playing in two games. An excused absence is granted for illness or a family emergency. The coach must be called when a player will not be at a practice or a game. Cheerleaders must maintain sportsman-like conduct at all times. No spirit wars will be allowed. No shoulder sits or shoulder stands or difficult stunts will be done without a spotter. The visiting team cheers between the 30-yard line and the end zone. The home team cheers behind the end zone. Half-time performances shall be 5 minutes per school. Cheerleaders will not leave the sidelines for a break until all half-time performances are complete. Cheerleaders will applaud the opposing squad's half-time performance. To have a successful cross country program parents must be willing to volunteer their time during one of the three cross country meets. Our school will be assigned to watch over a particular section of the 2-mile course, with parent volunteers spread out just to make sure the athletes aren't intentionally or unintentionally cutting the course or getting off course. All parent volunteers will be required to attend a Safe Environment training class. The cross country run shall be a course 3200 meters in length. Measurement shall be along the middle of the course. The course shall be clearly marked. This may be by a wide line marked with a material which is not injurious to the eyes or skin, or by signposts with large directional arrows wherever the course turns, or by cones, or any combination of these. The course should be at least 3 feet wide at its narrowest place. Each Athlete should have proper running shoes and socks. Jewelry is not allowed except for medical medals or properly covered "newly pierced ears". Each contestant shall wear shoes. Shoes shall be worn on both feet and shall have an upper and definitely recognizable sole and heel. The shoe upper must be designed so that it can be fastened securely to the foot. The use of slippers or socks does not meet the requirements of the rule. Each competitor shall wear a full-length track jersey or one-piece uniform issued by the school. The jersey and shorts may have the school identification and the jersey may have the competitor's name. The jersey shall not be knotted or have a knot-like protrusion. Bicycle shorts, thigh huggers, abbreviated thigh huggers, leotards, body suits, abbreviated briefs (French or high cut) and similar apparel may be worn under the shorts, but not in lieu of shorts. Loose-fitting boxer-type shorts are permitted for boys and girls and closed-leg briefs/shorts are acceptable for girls. The waistband of a competitor's shorts shall be worn above the hips. Bare midriff tops are not acceptable. Visible undergarments: any visible shirt(s) worn under the uniform must be unadorned (except for the manufacturer's logo) and of a single color and hue. Visible garments worn under the jersey and shorts do not have to be the same color. Meets are typically held at Burns Park Soccer Complex. There are three meets a year and they are typically held on Wednesdays. The parent/volunteer meeting starts at 4:00p.m. The girls' 2-mile race begins at 4:30 and the boys' 2-mile race at 5:00. Players must have some experience playing golf. Players must have their own clubs. Players must be able to walk 9 holes and carry their bag. Each player must be a member of the First Tee of Arkansas and follow all rules set forth by the organization. Parents will be scheduled to walk with their child's team throughout the season. On your scheduled day, you will check in at the clubhouse and let First Tee know how many members of your team will be playing that day. You will then walk the entire match with your child's team. All parents of students playing golf will be required to complete Safe Environment training. Parents are not allowed to carry clubs or offer advice or suggestions in any way while they are on the golf course with the team. All parent volunteers will be required to attend a Safe Environment training session. Each athlete should have proper running shoes and socks. Track "spikes" are allowed. Athletes are encouraged to wear sweats, hats, warm-ups, etc. on cold days. Gloves are not permitted for discus or shot put; however, wrist braces are allowed. The maximum number of events an athlete can participate in is 4 track and 2 fields. There is no minimum. The maximum number of entries per event is 7 per school. This could be reduced to 4 in the "Championship Meet". Athletes must provide attendance status to the head coach no later than Monday at 5:00 p.m. prior to a Wednesday meet. If the head coach is not contacted and the athlete is absent for the meet, the athlete will not be allowed to participate in the next scheduled meet. Sudden injury or illness will be handled on a case by case basis. Practice will be determined based on track availability and restrictions. Typically, there are 5 meets per season. 2 practice meets where all events are split over 2 meets (unlimited participation), 2 league meets (participation restrictions) where all events are included and 1 Championship meet participation restrictions). Teams that are named parochial league champions or win the end of season parochial league tournament may purchase a banner to be placed in the gymnasium. All banners are purchased through the Athletic Director. Holy Souls School gymnasium is available to rent for basketball/volleyball purposes by any active member of Holy Souls Parish over the age of twenty-five (25) or a parent of a student who is currently enrolled. Availability will depend on the schedules of Holy Souls School and Church. Contact the athletic director for more information at athleticdirector@holysouls.org or 501-663-4513. Sponsors will be faculty members appointed by the principal. The head coach is appointed by the principal. Assistant coaches will be selected by the head coach in consultation with the principal from qualified volunteers. Those that have completed the Safe Environment training. A coach that takes a team at the entry level into a sport (i.e. 5th-grade basketball) will be allowed to stay with that team through the 8th grade whenever possible. If a coach must leave, the assistant coach may be moved to the head coach position or a qualified coach will be found. In the event a team needs to be split, a qualified coach will be found for that team. The parochial league sports are football, cheerleading, volleyball, golf, basketball, track, and cross country. SECTION 3: Schools are encouraged to have a sign posted near the entrance of the gym reminding all who enter to show good sportsmanship. Teams will pray together prior to each game/match. The home team is responsible for leading a prayer. SECTION 5: All student-athletes must attend one of the parochial schools or other member schools. The parochial and member schools are Christ the King - Little Rock, Our Lady of the Holy Souls - Little Rock, St. Edward - Little Rock, St. Theresa - Little Rock, Christ Lutheran - Little Rock, Immaculate Conception - North Little Rock, Immaculate Heart of Mary - North Little Rock, North Little Rock Catholic Academy - North Little Rock, Our Lady of Fatima - Benton, St. John - Hot Springs, and The Anthony School - Little Rock. SECTION 7: Schools with multiple grade level teams are to divide those teams equally by skill level. This should be done at the 5th and 7th-grade levels and more often if needed at the discretion of the principal and athletic director. SECTION 8: Team rosters for each sport must be turned into the Office of Catholic Schools at least two weeks prior to the beginning of that season. A waiver must be signed by the principal and athletic director stating that a physical is on file at the school for each student dated within one year of the student's beginning participation. Volleyball Parochial League Tournament - $15 per team paid to the school that hosts the tournament. Basketball Parochial League Tournament - $15 per team paid to the school that hosts the tournament. SECTION 2: Athletic Board the Parochial League Athletic Board will consist of the Superintendent of Catholic Schools, and the principal and athletic director from each school. When a vote needs to be taken, each participating school principal will be granted one vote. The director of the officials is an ex-officio member. SECTION 4: Coaches should be mindful of the physical safety of the students and not place any student in a position where serious injury may occur. Coaches must not physically or emotionally abuse any student who is under their supervision. Coaches should be aware that a student's performance may be limited by their present physical and emotional developmental stage. Each student who is a member of the team should receive ample opportunity for playing in games on a regular basis. Persons who abuse these guidelines will lose the privilege of coaching in the parochial league. All coaches and assistant coaches in Catholic schools must have completed the VIRTUS-"Protecting God's Children" training and have a background check completed by the Diocese of Little Rock before they will be allowed to coach. They must read and sign the diocesan policy statement on Sexual Abuse of Minors and register with VIRTUS Online for continuing education. Coaches must be 18 years old, however, those under 21 years of age must have an adult 21 years or older to supervise. This supervising coach must be listed on the roster of coaches. There shall always be at least 2 adults at all games and practices. The director of officials is hired by the league board. It is the responsibility of the director of officials to conduct a mandatory meeting with the officials to go over rules and regulations of the parochial league. As officials are part of the team that administers games, we rely on them to keep control of each contest. They should be treated with respect by coaches, players, and fans. Any concerns regarding the officials should be directed first to the athletic director of the school, and the athletic director must share the concern with the principal and director of officials. The officials have the authority to eject coaches, players, and fans for violations of conduct. The scorebook is the official record of all athletic events. The coach is to sign the book prior to the game to check the players' numbers. The referees and the scorekeepers are to sign the book after the game is over. The official scorebooks are to be kept at the schools. It is very important that parents function as role models for their children. Parents are strongly encouraged to attend games in which their children are participating, as an expression of parental concern for their child's effort. Parent behavior at games shall exemplify the behavior expected of the child and must reflect positively on the parochial league. Belligerent or demeaning comments or actions toward game officials, coaches, players, or other fans will result in ejection from the site. No player who has reached age 12 by September 1st may play on the 5th-grade team. No player who has reached age 13 by September 1st may play on the 6th-grade team. No player who has reached age 14 by September 1stst may play on the 7th-grade team. No player who has reached age 15 by September 1 may play on the 8th-grade team. If a player wears a t-shirt under his/her jersey it must be the same color as the dominant color of the team jersey. If a team has two different colors of jerseys (light and dark) or reversible jerseys when playing at home, they will wear white (light) and dark when playing away. Jewelry is prohibited. A medical alert medal may be worn but must be taped. A coach is to let the officials know before the game if any player is wearing a medical alert medal. If a player has an injury requiring a doctor's attention, he/she must have a doctor's permission before they may practice or play again. Students participating in extracurricular activities must have an 80% (B) or better in conduct. Conduct marking codes are as follows: A=90-100%, B=80-89%, C=70-79%, D=60-69%, F=below 60%. A modified grading scale may be used in the student's area(s) of disability. If there are areas of academics which are not affected by the particular diagnosed learning disability or handicapping condition, the academic eligibility standards for non-disabled students will apply. The principal, classroom teacher(s), parent/guardians, and student should be aware of the guidelines established in the modifications and/or MAP prior to its enactment. School closures for inclement weather, sickness, etc. will automatically postpone games and practices. A decision regarding playing/postponing games on Saturday due to inclement weather, sickness, etc. will be made by the superintendent on Friday evening prior to the Saturday games. The decision will be disseminated to principals and athletic directors at that time. Girls cannot play on boys' teams, and boys cannot play on girl's teams. Any school whose team forfeits a game will be responsible for paying the officials' fees. They will reimburse the home school or the parochial league. No parochial team shall participate in more than 6 tournaments in one school year. This includes all preseason and postseason tournaments (C2). 5th and 6th-grade boys and all girls' teams will use the 28.5-inch ball. The free throw line for the 5-grade boys and girls will be twelve feet. The Regulation free throw lane will be used for the three (3) second call. The 5th and 6th-grade boys/girls divisions will play five (5) minute quarters. The 7th and 8th-grade boys/girls divisions will play six (6) minute quarters. If a player is injured and must come out in his/her first quarter of play, he/she may not re-enter that quarter unless it is on the next stoppage of the clock. If they do not re-enter immediately, they must still fulfill their quarter requirement the next time they enter. The 5th-grade boys/girls divisions may press the last two (2) minutes and the entire overtime period of the game. The 6th-grade boys/girls division may press the second half of the game. The 7 and 8t grade boys/girls divisions may press at any time. A team that has a fifteen (15) point advantage may not press the opposing team. PRESS is defined as guarding closely beyond the three-point line as well as any full-court defense or half-court trapping defense. The spirit of the rule is to allow the team to get across the 10-second line. If there is a 30 point advantage in the 4 h quarter the clock will run continuously. Schools that need 4th graders to make a 5th-grade team, girls and/or boys, must offer all 4th graders of that gender the opportunity to play. Trophies will only be given for the first place Parochial League champion for each boys and girls grade level. The service area will extend 5 feet into the court for the 5th and 6th-grade division. The post-season tournament will be single elimination. The 5th and 7-grade teams will use the lightweight volleyball. In the interest of safety, it will not be required that each child is played a minimum amount of time. A smaller student should not be played against a larger student. Coaches should try to play each player an equal amount of time. There will be 3 timeouts per half. Half-time will be 10 minutes. Uniforms purchased shall follow NFHS rules with the following exception: "The school name may be above and below the numbers." During the game, the players and coaches on the sidelines must stay between their twenty and forty-yard lines. Should the football season end with a tie, the tiebreaker will be the fewest points scored upon a team will be a higher ranked team. Any elementary or secondary school with a cheerleading program must have a qualified coach to supervise. If the cheerleading program does any type of acrobatics, pyramids, or tumbling skills the elementary school must follow the Novice rules and regulations from the National Cheerleading Association. The following guidelines are to be used for these elementary school cheering squads. Knowledgeable advisor or coach. To be a qualified advisor or coach one should receive the Spirit Safety Certification from the AACCA online at www.nfhslearn.com/Courses.aspx. The cost is $75.00. Advisors/coaches should recognize a squad's particular ability level and should limit the squad's activities accordingly. Training in proper spotting techniques is mandatory for all squads. F. All jewelry is prohibited during participation. Round off back handsprings allowed. The Arkansas Quiz Bowl Rules of Competition will be followed. SECTION 1: Consequence #` (C1) - Forfeit of game or games that the rule violated. SECTION 2: Consequence #2 (C2) - The team that violated the rule will continue playing games but will not be eligible for a pre/postseason tournament. SECTION 3: Consequence #3 (C3) - The member of the team that violated the rule will be dismissed from the league and put on one-year probation. That is, not play any games for one year. SECTION 4: Consequence #4 (C4) - If a player, coach, or fan is ejected from a game for a violation he/she cannot attend that team's next parochial league game. This must be reported to the principal and the principal will enforce. If the ejected coach, player, or fan is from the visiting team it is the home team principal's responsibility to contact the visiting team's principal to make sure the rule is enforced. If there is a second offense they will not be allowed to return for the remainder of the season. If anyone puts hands on an official, in a hostile manner, this person will be banned from athletic events for one calendar year. A protest will be considered for any league game where there was an alleged misapplication of a playing rule. Within two (2) business days, the coach must submit in writing to his/her athletic director, the date, time, place, opponent, the name of the official, the rule under which the protest is made, and the conditions and essential facts involved in the protest. The athletic director will present this to his/her principal. If the principal deems the protest to be valid, the principal will notify the principal of the school on which the protest was filed. The protest signed by the principal and the athletic director and a fee of $25.00 must be submitted to the Office of Catholic Schools within 4 business days of the game in question. A non-partisan committee appointed by the superintendent will review the protest and a decision will be communicated to both principals within five business days of receiving the protest. Vision and Hearing tests are given in grades PK, K, 1, 3, 5, 7, or to any other student referred by the teacher and all new students to Holy Souls School. Scoliosis tests are given to girls in grades 6 and 8. Boys in grade 8. The Diocese of Little Rock has selected the Student Insurance Plan from K&K Insurance Group to make reliable coverage available to parents. If you don't have other insurance, this plan may be a resource to consider. Additionally, even if you have other coverage, this plan can help fill expensive "gaps" caused by deductible and co-pays. Coverage may be purchased at any time during the school year by visiting www.studentinsurance-kk.com. Holy Souls Parent-Teacher Organization meets two (2) times a year. Dates for these meetings will be mailed at the beginning of the school year. Parents of children in school are automatically members. Dues are $20.00 per family and will be included on your summer registration statement. Diocesan School Boards are advisory. The School Board advises on matters pertaining to policies, budget, and the selection of the principal for the school. The School Board follows the guidelines adopted by the Diocesan Board of Education and approved by the Bishop. Members are elected for a period of three (3) years with terms expiring in May. The Holy Souls Volunteer Committee works throughout the school to assist teachers and students in all aspects of the school day. Signup sheets will be available at the school open house in August. During the school year, volunteers and parents are required to check in and out through the school office before going to any classroom. All visitors are asked to wear volunteer identification while on the school grounds or in the school building. All volunteers are required to complete the CMG Connect-Safe Environment program. Register online at http://www.dolr.org/safe-environment. After school care is provided each day in the Allen Center until 5:30 p.m. Christmas break and Spring break hours will be determined based on need. A snack is provided each day. For registration or information, phone 663-7438 or 516-2002. The Holy Souls School Board must approve all school fund-raisers before they can be implemented. Students who are diagnosed with a Learning Difference are offered the following services: Students with a documented diagnosed learning difference will receive a modified academic plan stating any classroom or grading modifications. Each student's academic plan is developed on an individual basis with the help of the parents, teacher, and Student Services Coordinator. Documentation of the learning difference must be kept on file in the student services coordinator's office. If a learning difference is suspected, parents are encouraged to contact the student services coordinator. Further action may include: observations of the student, private testing, free testing through the Little Rock School District, and/or physician referrals. Speech therapy is available through the Little Rock School District at no cost for students who qualify. Speech services take place on the Holy Souls Campus. Please contact the student services coordinator for more information. experts knowledgeable in asbestos techniques. The School is re-inspected every three years as required by EPA guidelines, and the School has documentation of these inspections for every three-year period subsequent to 1988. The School also has documentation of any abatement work that has been done as well as the periodic surveillance performed every six months. It is a requirement of DHS that any suspected sign of child abuse is reported to the Child Protection Agency. If an employee suspects any child abuse he/she is required to file a report and call the child abuse hotline. It is then left up to the proper authorities to investigate. Any staff member or child enrolled at Holy Souls School may be subject to an interview by DHS officials. Holy Souls School reserves the right to amend this Handbook. Notice of amendments will be sent to parents. This policy outlines the procedures through which the administration or parents/guardians of Our Lady of Holy Souls Catholic School ("school") may propose changes to the school's mission, policy, programs, or special projects. The purpose of the policy is to establish an understandable procedure through which proposed changes may be presented and ultimately approved or disapproved by the school community. Programs/Special Projects - any organized activity that addresses or enriches the current curriculum. An expression of interest in the consideration of an amendment to the school mission, policy, programs, or special projects by an individual parent/guardian, a group of parents/guardians, or the Holy Souls Parent Teacher Organization ("PTO") begins these procedures. The expression of interest shall be submitted to the school principal in the form of a petition with the signatures of at least twenty percent (20%) of parents/guardians of students at the school (one signature per family). Detailed explanation of individual and group voluntary services required. 4. Once a petition has been submitted, the principal, or his/her designee, shall submit the petition to the school board. The school board shall approve, disprove, or return the petition for further information or clarification. The school board's approval is required prior to any further action being taken on the petition. 5. Upon approval by the school board, the school principal, or his/her designee, shall notify the PTO president who shall present the petition at the next scheduled PTO meeting. Copies of the petition shall be distributed at said meeting. After the initial presentation of the petition, the PTO president will facilitate discussions and meetings in order to assist in the orderly sharing of ideas, interests, and concerns regarding the proposed amendment. A vote shall be taken at the PTO meeting following that in which the petition was initially presented. PTO meetings are held in September and April. The PTO president will lead voting based on the guidelines from Roberts Rules of Order. Once a change has been proposed, that same proposal may not be brought up for discussion for a period of five years from the date of decision.